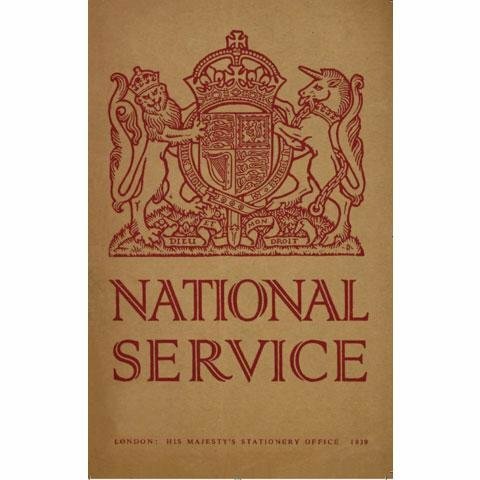 Recalling the National Service years of 1939-60, a facsimile from the collection of the National Archives, which was issued by His Majesty’s Stationery Office in January 1939. Sent to every household in the country detailing the many ways men and women could give service to their country in peace time, includes a letter from Prime Minister Neville Chamberlain and a foreword by Sir John Anderson MP. At the outbreak of war on 3rd September 1939 National ‘War Service’ became mandatory. After 1948, ‘War Service’ was replaced by the National Service Act, which saw a generation of young men get a taste of the military.